“Radler” and “Shandy” are synonymous names for a mixture of a beer and a citrus-flavored beverage. Radler is a German equivalent to the British Shandy, specifically a beer mixed with carbonated lemonade. 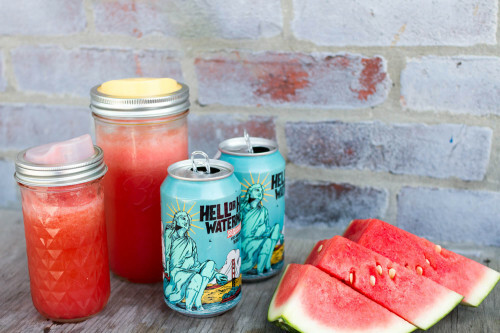 This is a 21st Amendment Hell or High Watermelon summer seasonal beer mixed 50/50 with blended watermelon. Whatever you want to call it - it’s absolutely delicious.